Multi-vehicle collisions are slowing traffic and causing frequent highway closures from the Trans-Canada Highway south. 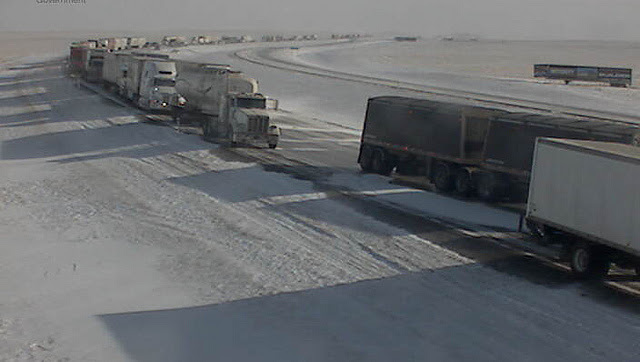 Government of Alberta - Frequent highway closures in southern Alberta to clear multi-vehicle collisions are causing severe congestion in some areas as traffic backs up. Although the closures typically last only a few hours, Albertans who do not need to drive today in southern Alberta are advised to stay home. Those people who must drive are advised to prepare for winter conditions, including reduced visibility and slippery road surfaces and adjust their driving habits accordingly.